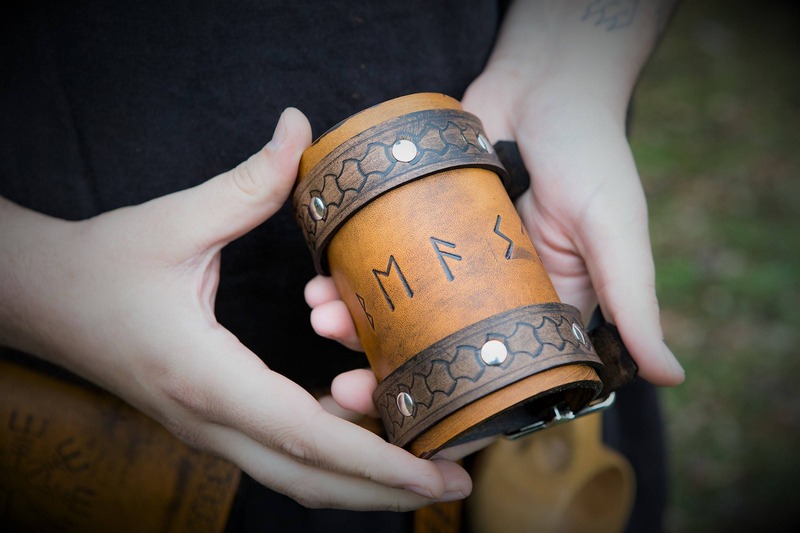 These cuffs are hand tooled with runes from the Elder Futhark, and are completely customizable. 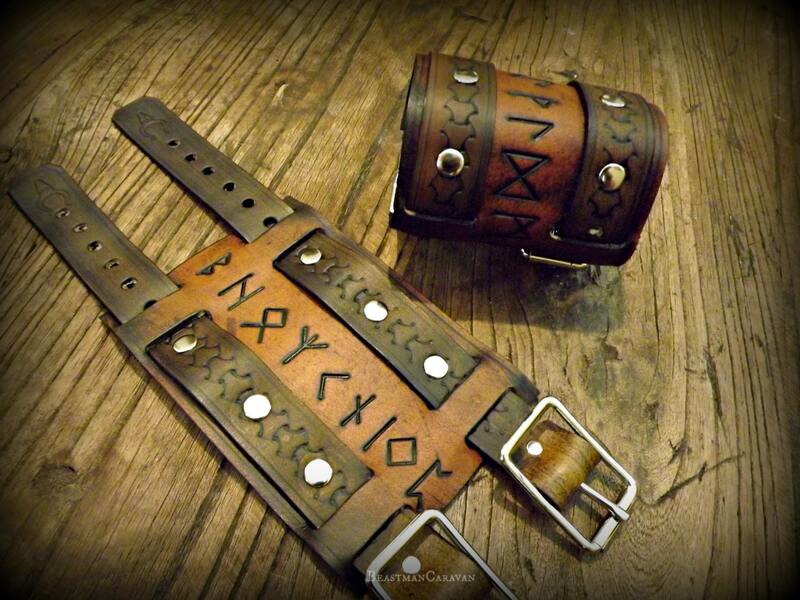 I can fit up to six runes of your choosing on these cuffs. 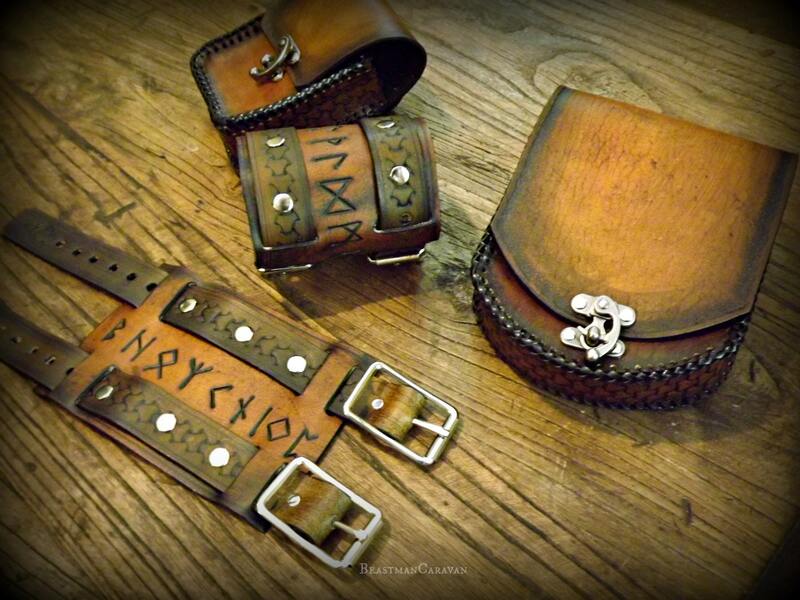 Also, the cuffs attach via buckles . 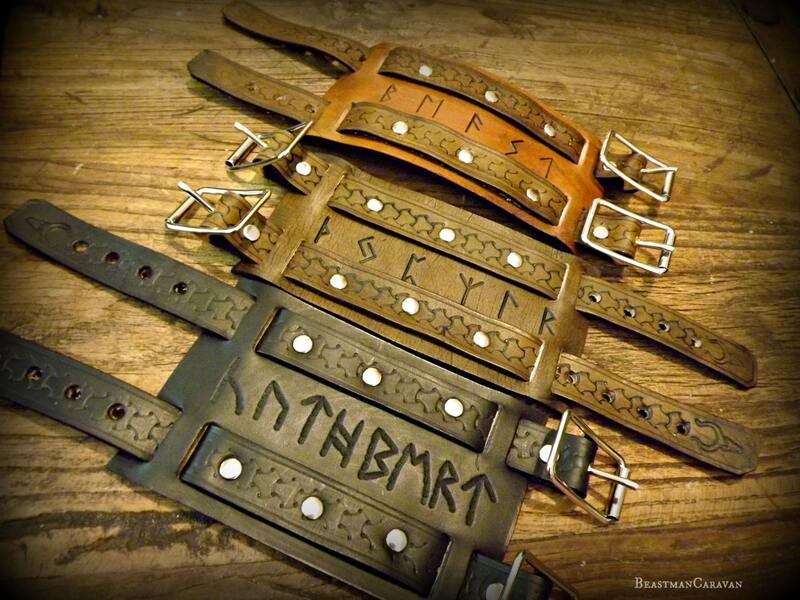 Each order comes with a single cuff. 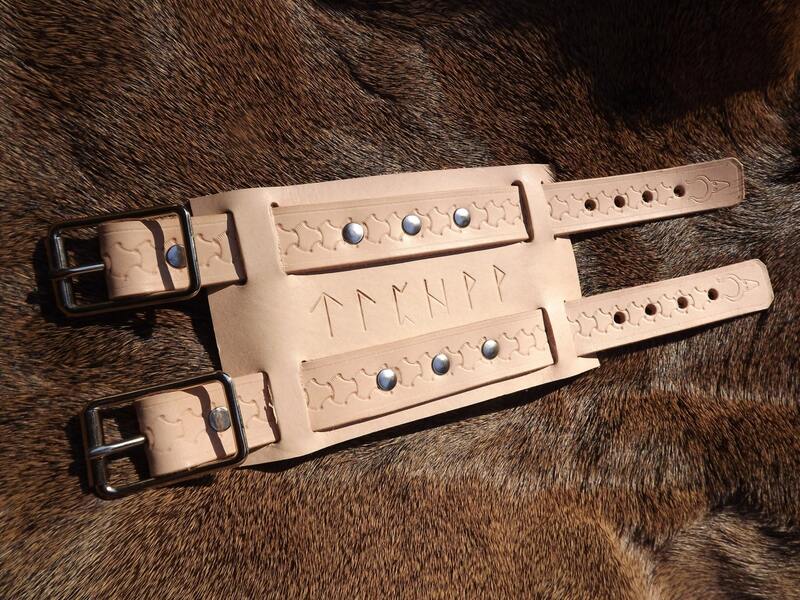 Please specify the runes you would like in the comments of the purchase.